Widowed with seven small children, Molly Gallivan had to call on all her resourcefulness to keep body and soul together. She supplemented her meagre income from her small mountain farm by opening a “Sibheen” (illegal pub). 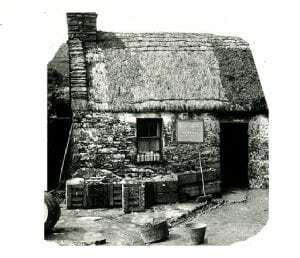 Here she sold her own home made “Poitín” (whiskey) locally known as “Molly’s Mountain Dew”. In the early 1840s a new mountain pass was built between Glengarriff and Kenmare. The road, now known as the Caha Pass, gradually became a prominent tourist route, linking West Cork and South Kerry. 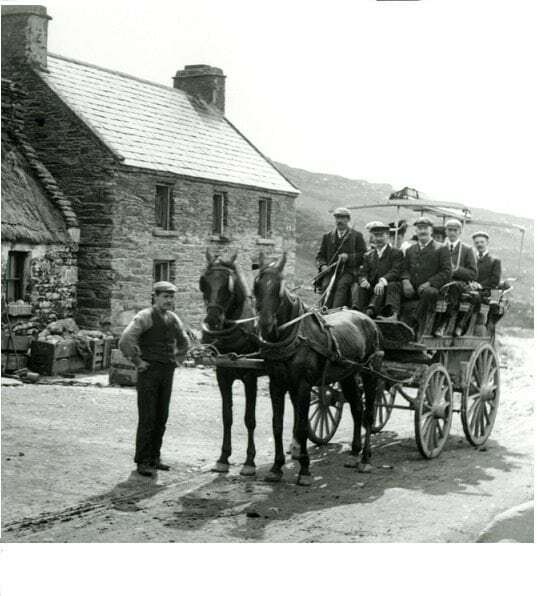 Horse drawn coach tours were organised for rich English tourists to enjoying the spectacular scenery over the mountains passes from Glengarriff to Killarney. Molly Gallivan’s soon became a welcome stop for weary travellers, to enjoy some of Molly’s home baking and teas. 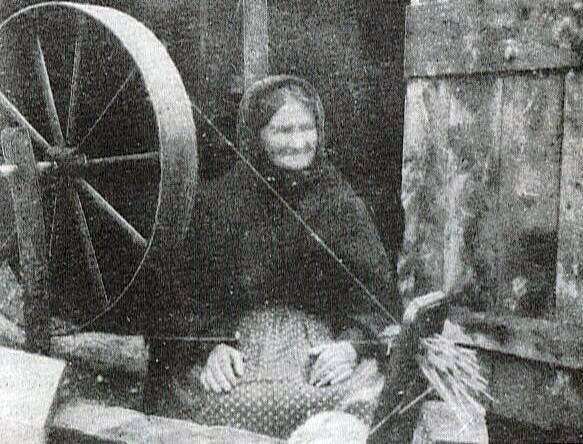 Molly eventually set up her own cottage industry selling hand spun woollens, Aran sweaters and local crafts. Local farmers supplied wool for her industry and neighbouring women helped with the spinning and knitting. This generated much needed employment in the community at a time of great poverty and want. During the First World War and War of Independence, tourism declined in Ireland. Molly Gallivan’s was converted to a grocery store, supplying the community with flour, groceries and other household goods. 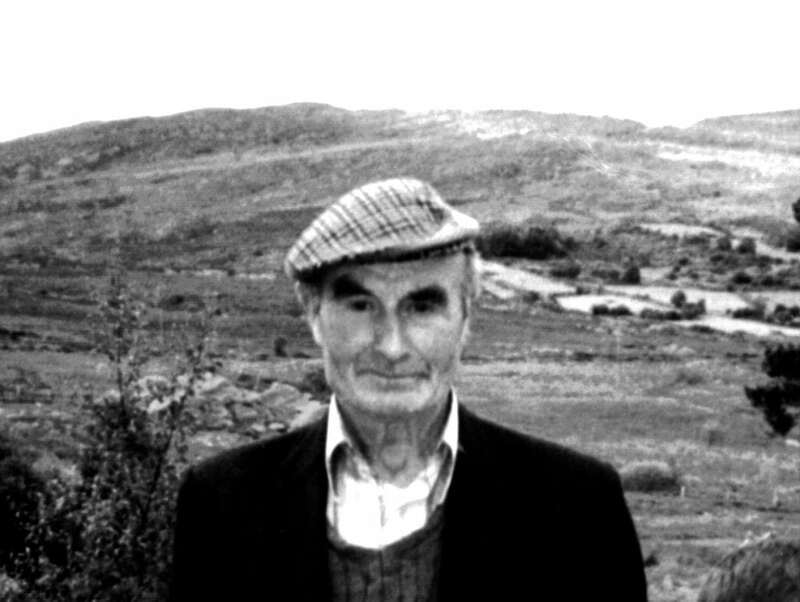 Jeremiah Gallivan was the last of Molly’s descendants to live in the cottage. Jeremiah, a bachelor, farmed the land using the same traditional methods as his ancestors. After his death in 1997 the cottage was uninhabited until our family purchased it in 1999. Our vision & dream was to preserve the old Cottage and Farm and return it to its former glory; as it was in Molly’s time. 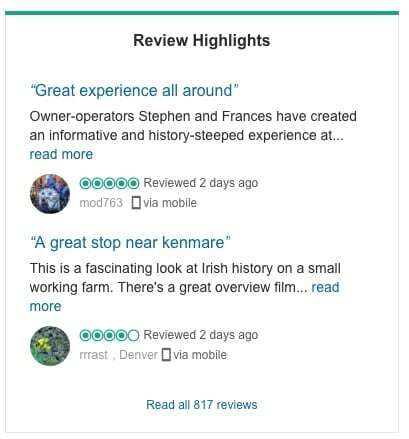 Today at Molly Gallivan’s, visitors can wander back in time, enjoying the simple lifestyle in rural Ireland; as it was before the advent of electricity and modern conveniences. We have also re opened Molly’s old Tea Rooms and re-established her Cottage Industry. Our tastefully stocked shop contains an extensive range of locally made crafts, woollens and jewellery. We have also reproduced Molly’s traditional style of Hand Knit Aran Sweaters, made with 100% Irish wool.